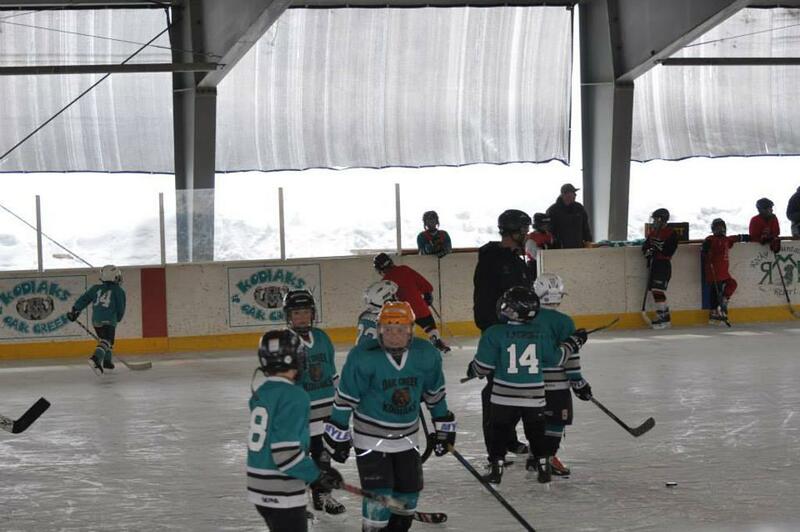 New covered walkway to keep players safe from falling ice. This will now be the main entrance to get into the Hut. The town would still like us to park in the back parking lot. ~ Gear Night on the 27th went great! If you missed it, contact us and we'll help. Gear night is 11/27. This will be when we gear up new players and current players and exchange gear for different sizes. If this date doesn't work for your family,text Steph (970-819-1253) and we'll setup another time. Registration is now open! Payment plans available. Register on this webpage, under the "registration" tab. We have some fundraising opportunities coming up, including ACE days and Butterbraids. Contact Rachel 720-470-2106 for a Butterbraid form. We will collect these 12/5/18 and delivery will be 12/12/18. Andrew Fox said it well - Congratulations!!! 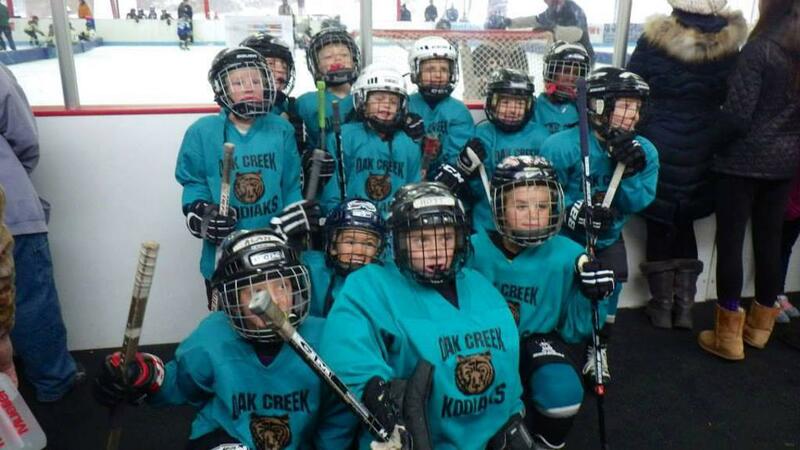 to our Oak Creek Kodiaks Squirt Hockey Team! 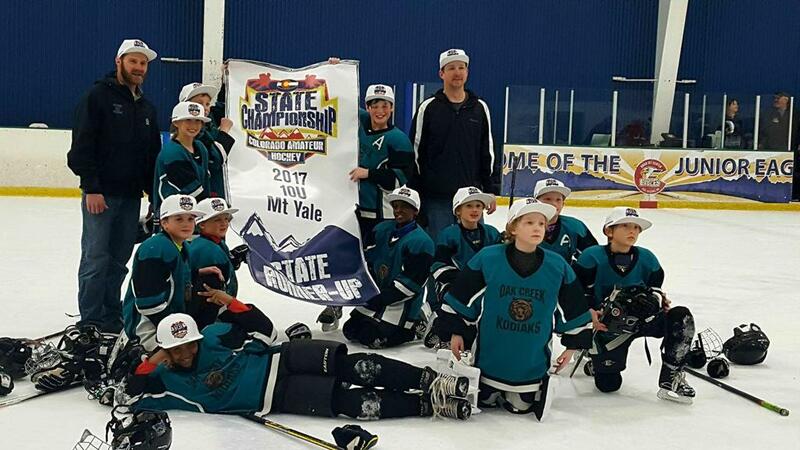 On taking 2nd Place at the CAHA State Championship, Mt. Yale Division Tournament!!! This is an amazing accomplishment when you consider how many practices were missed due to weather and that Goalie Aiden Schamanski missed even more recovering from a mild concussion! 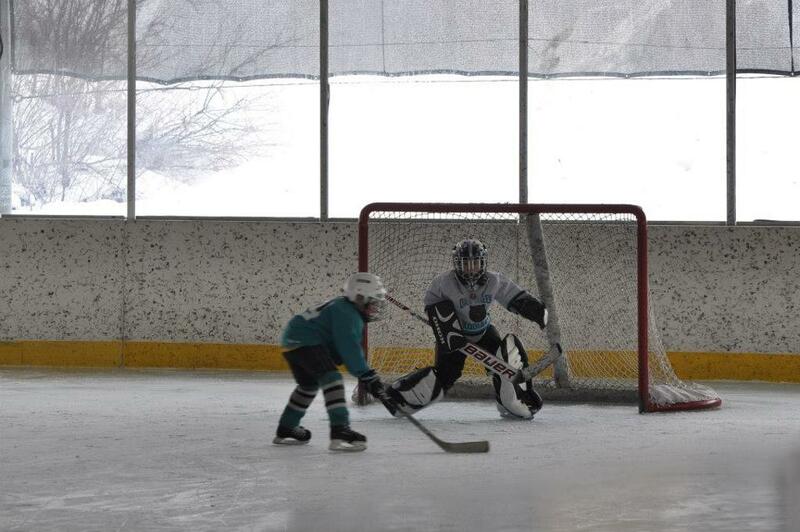 Aiden had a 1.931GAA for the Tourney!!!!! 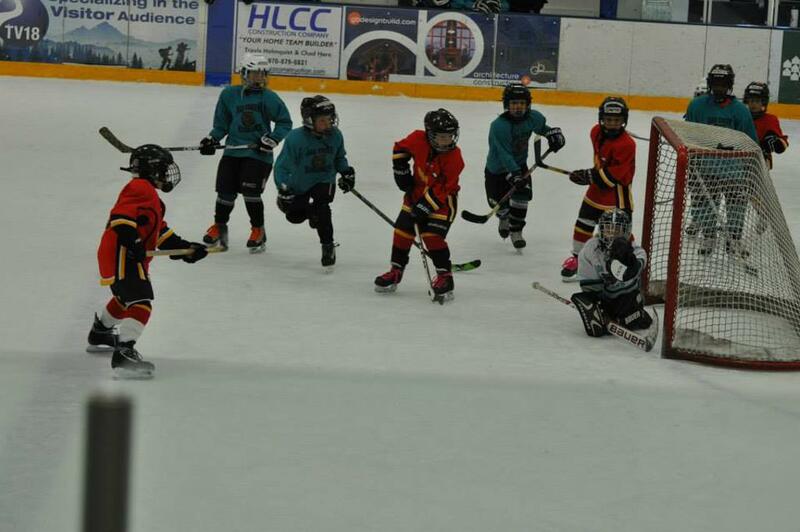 Awesome stuff Aiden! Out in front of him the Kodiaks out scored their opponents 2...4 to 9. and were out scored by the Champs, Highland Hills Orange 7 to 5 over 2 games. 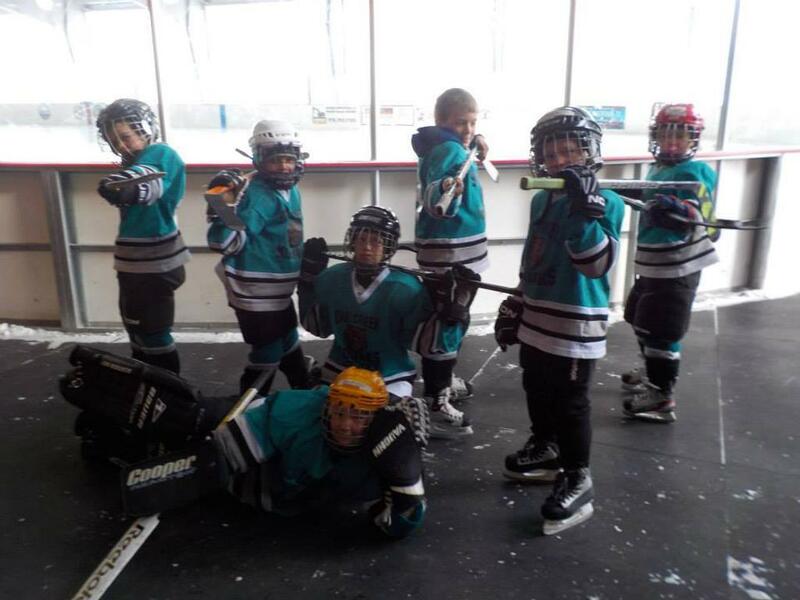 In the title game they came up short 4 to 3 in 2 overtimes! 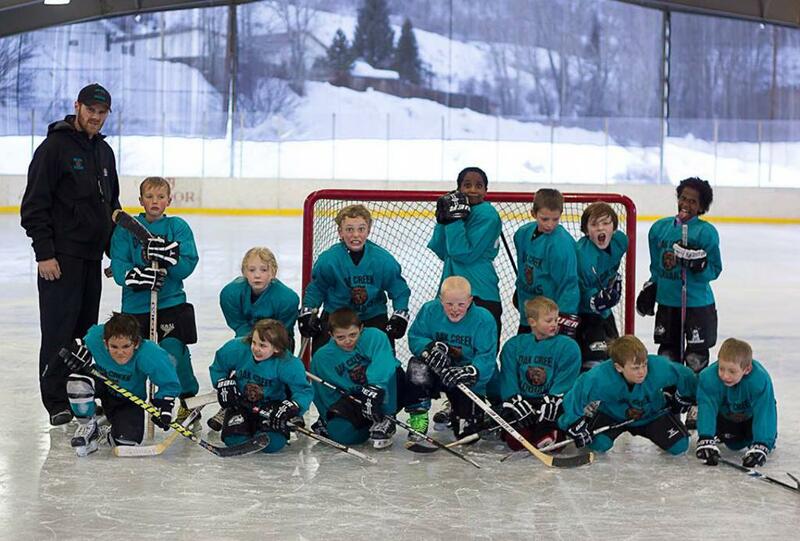 Way to Close out the season and for many their last game as Kodiaks!!!! We are so proud of you all! Thank you to the coaches who give their time with out asking for anything in return and the parents for all the sacrifices they make for their kids "love of the game". 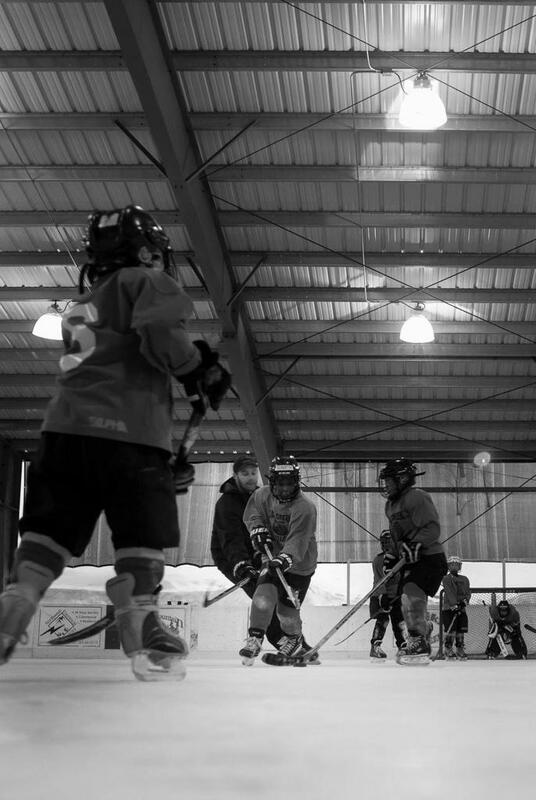 The Kodiaks will look back on this weekend and remember the friendships made and the passion they shared. Thank you for checking out the Oak Creek Kodiak webpage! 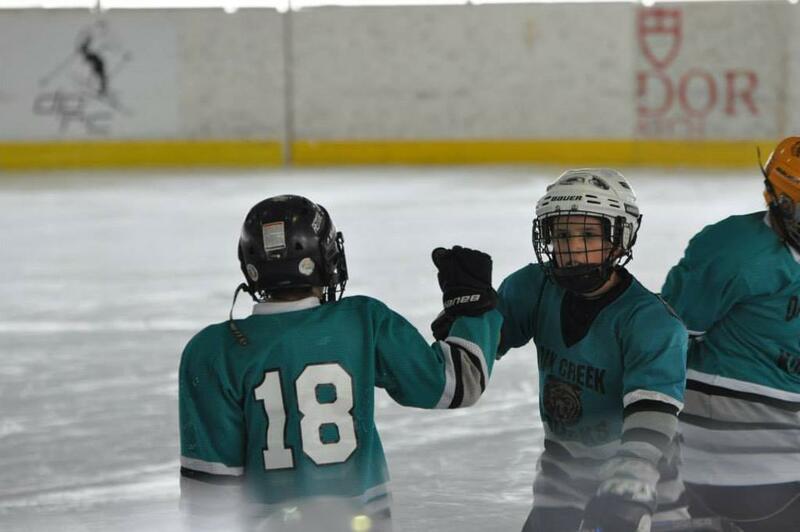 The Oak Creek Hockey Association exists to provide recreation through the sport of hockey and introduction to competitive play founded on sportsmanship and skill development whereby all who wish to play may be eligible to fully participate. 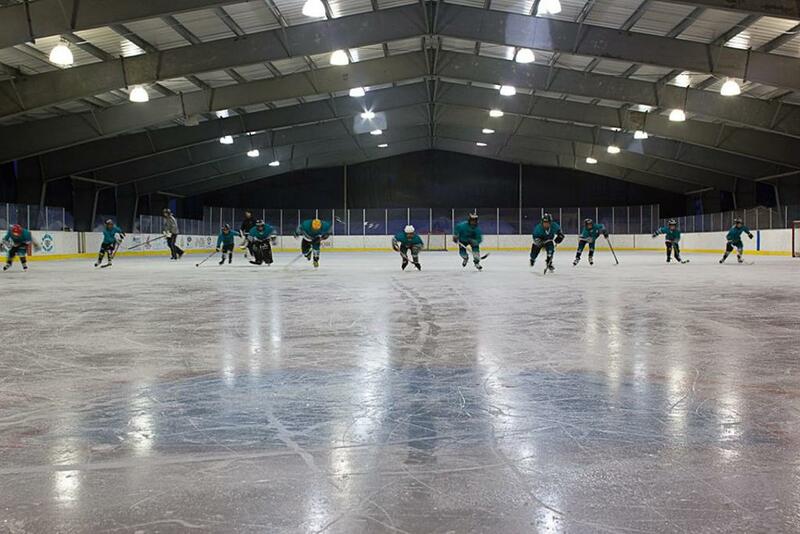 The Oak Creek Hockey Association and Town of Oak Creek offer free skating at all times, pending the hockey schedule. 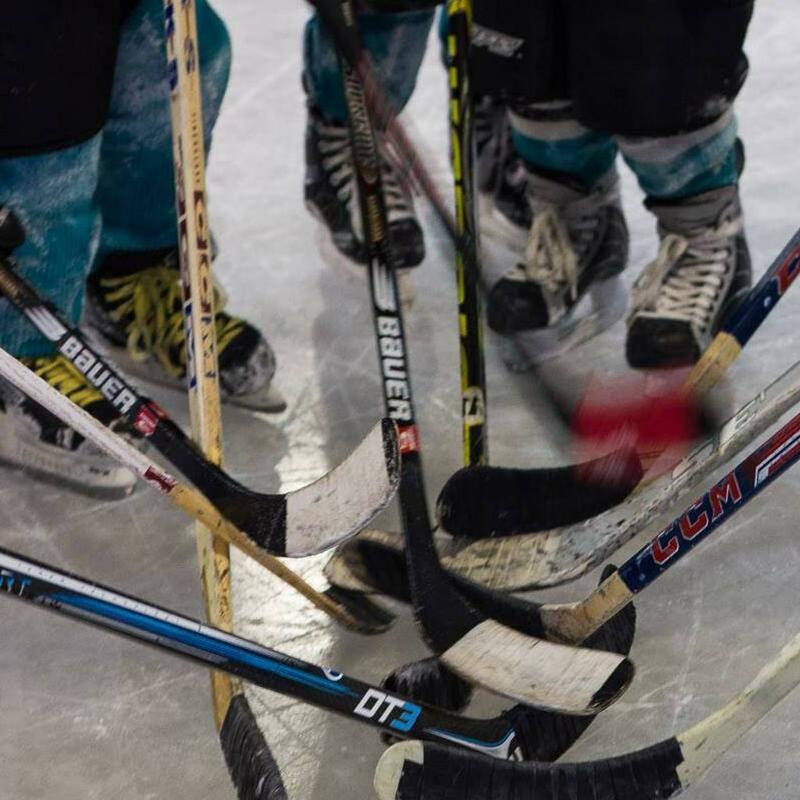 The hut will be open with ice skates to borrow during Public Skate and Stick N Puck. These schedules can be found under the calendar tab. 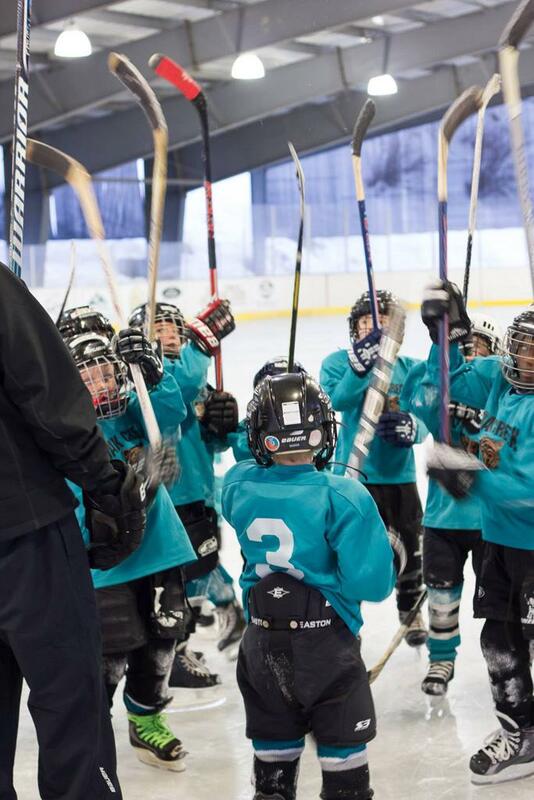 Email Oak Creek Hockey Assn!